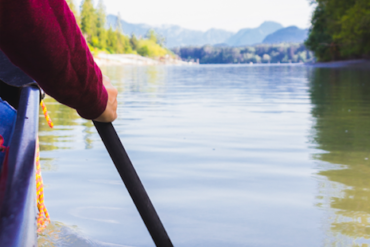 Towering mountains, sweeping valleys, and pristine abundant water is what the Vancouver area is known for. It’s more than photogenic – it makes for fertile farmlands, lush orchards and thriving ocean life. Add to this the cultural mosaic of traditions from the people who have lived here for thousands of years and brought by the people who have settled here, and you have the makings of a very exciting culinary scene. In every region and neighbourhood, you’re as likely to find home-style comfort food as you are new and surprising takes on global cuisine, all made with fresh locally grown produce, caught-that-day seafood, and ethically and sustainably raised meats. As well as delicious cheese, honey, beer, and more hand-crafted joy. It’s farm to table to a whole new level. 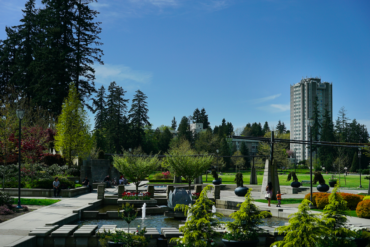 Burnaby is a bustling metropolis located directly east of Vancouver, in the geographical centre of the Lower Mainland. A walk through any Burnaby neighbourhood reveals a cornucopia of aromas and tastes. When you consider more than 100 languages are spoken here, Burnaby’s array of delicious culinary options should come as little surprise. Langley is a lush, agricultural region, the root of the West Coast culinary experience and a perfect place to unplug and connect with the land. The area overflows with farm fresh experiences, self-guided farm tours and farm-to-table dining. 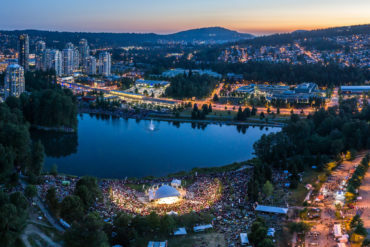 The area’s micro-climate makes excellent growing conditions, particularly for grapes and hops, which explains why it’s Vancouver’s local wine region and home to so many hand-crafted wineries, breweries and meaderies. 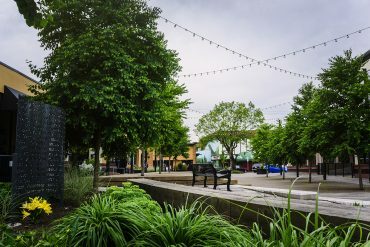 Under half an hour from the USA-Canada border, Langley City is a pedestrian-friendly urban gateway to a vast agriculturally-rich wine and growing region. Independent restaurants and city favourites satiate appetites along what locals call “The One Way”, which is the heart of summer festivals and minutes away from nature trails and playgrounds. With a long history of diverse young families settling into a community that’s connected to both the city and to nature, Langley City welcomes foodies of all ages. 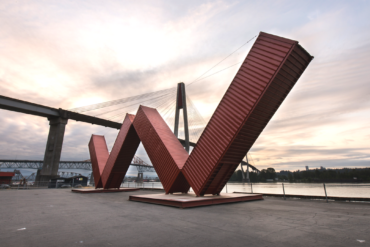 Located on the Fraser River, New Westminster has the unique distinction of being both BC’s original capital city and the oldest city in Western Canada. 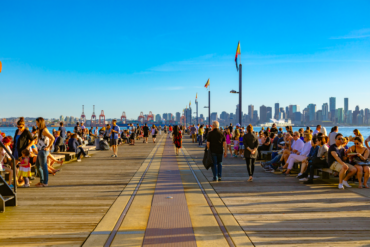 Though small in size, New Westminster boasts 13 diverse neighbourhoods, stunning river views, a scenic esplanade that stretches more than 2.5 km (1.5 miles) and countless dining experiences. 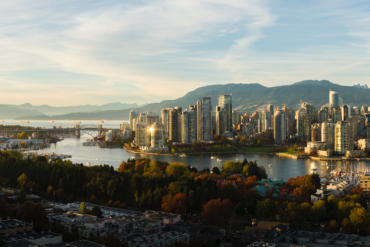 Only a 20-minute SkyTrain ride from downtown Vancouver, Richmond is a thriving coastal city with a dining scene as vibrant and diverse as the people that call the city home. More than 70% of the city’s population claims Asian heritage, so it’s no wonder that Richmond is famous for having some of the tastiest and most authentic Asian cuisine this side of the Pacific. 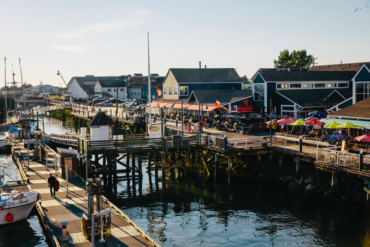 Be sure to visit the Night Market, Fisherman’s Wharf, and the Dumpling Trail. The City of Surrey lies just southeast of Vancouver, along the US border. As BC’s third largest city by area, the city is rife with agricultural land and produces more than 50 percent of BC’s carrots, radishes, lettuce and spinach. Surrey’s multiculturalism is most apparent through innovative yet traditional South Asian cuisine and seasonal, local, farm-fresh elements are intrinsic to its entire culinary scene. Expect a world of flavours and spices at every turn. 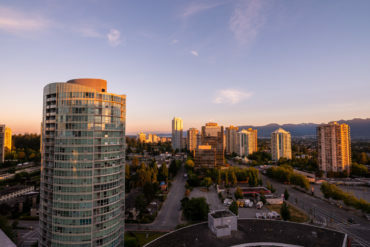 Vancouver’s towers of reflective glass and cozy, green-wrapped neighbourhoods are dwarfed by sky-scraping mountains and the vast ocean that hugs the city core. But it is within this laid-back cosmopolitan city that culinary creativity thrives. Heavily influenced by its various immigrant populations, Vancouver plays host to a fusion of fresh ideas from globally-renowned five-star restaurants to hole-in-the-wall eateries. Nestled between the mountains and the water, Vancouver’s North Shore sits directly north of Vancouver across the sparkling waters of Burrard Inlet, accessible by a short drive or a scenic ferry ride. The area’s distinct geography and Indigenous presence lend this area its unique flavour, entrepreneurial spirit, creativity and hands-on savoir faire – all of which are reflected in the culinary offerings of local chefs, growers and producers. 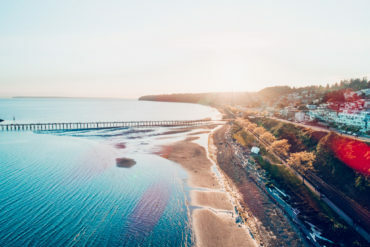 Hugging Semiahmoo Bay and located just 45 minutes south of Vancouver and only 5 minutes from the Washington State border, White Rock boasts 8km (5 miles) of sand and warm shallow waters. As the quintessential seaside community, the city is an easy blend of casual sophistication where art, culture and a world of culinary adventures are complemented by stunning sunsets and endless vistas. © 2018 Metro Vancouver Convention and Visitors Bureau. All Rights Reserved.